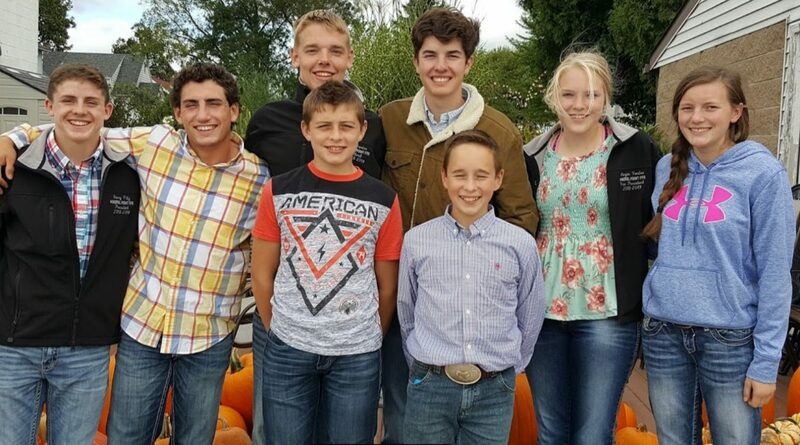 The Mineral Point FFA attend the River Ridge Livestock Judging Contest on Sept. 21 st and came away with second and third placing teams. Mineral Point Team 2 placed second in the contest as a team–members of the team are Joey Robinson, Kyle Vondra, Emma Steffes, and Ryan Schubert. Joey placed 2nd and Kyle 3rd overall as individuals. Mineral Point Team 1 placed third in the contest as a team–members of the team are Brady Palzkill, Logan Schmitz, Danny Pittz, and Morgan Vondra. Team 1 was led by Brady’s 8th place finish. The contest had 400 FFA members competing from across Wisconsin. Congratulations!